The God of Thunder made it to Australia over the July 4th weekend to begin shooting on the third installment of the Marvel franchise, Thor: Ragnarok. Star Chris Hemsworth, director Taika Waititi (Boy), and the rest of the massive Thor team officially began production on Monday. Co-president of Marvel Studios, Louis D’Esposito, took to Twitter to announce the exciting development. Joining Hemsworth for the latest go-around is returning actors Tom Hiddleston, Idris Elba, and Anthony Hopkins. 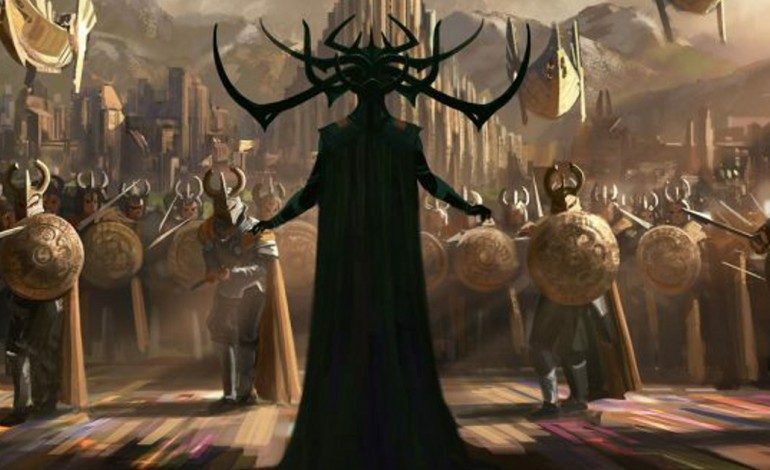 Newcomers to the Thor films include Mark Ruffalo reprising his Marvel role as The Hulk, Cate Blanchett as the latest villain Hela, as well as Karl Urban (Star Trek Into Darkness), Tessa Thompson (Creed), and Jeff Goldblum (Independence Day: Resurgence). Waititi will be working from a script by Stephany Folsom, Craig Kyle, Eric Pearson, and Christopher Yost. Marvel has kept exceptionally mum on the details of the series’ third film. We can deduce, however, that it will pick up from events seen in Thor: The Dark World as well as the last Avengers film, Age of Ultron. Marvel has said that this will be Thor’s “most dangerous and heroic adventure yet”, and with “Ragnarok” essentially pointing to the end of days in Norse mythology, that may be an understatement. Thor: Ragnarok is slated to open in theaters on November 3, 2017. Hemsworth took to Instagram to commemorate the first day of filming, check that video out below.